Next week we will begin beta testing of the ORMS MOOC. This journey has been a long one that I’ve documented the various developmental changes here on this blog. 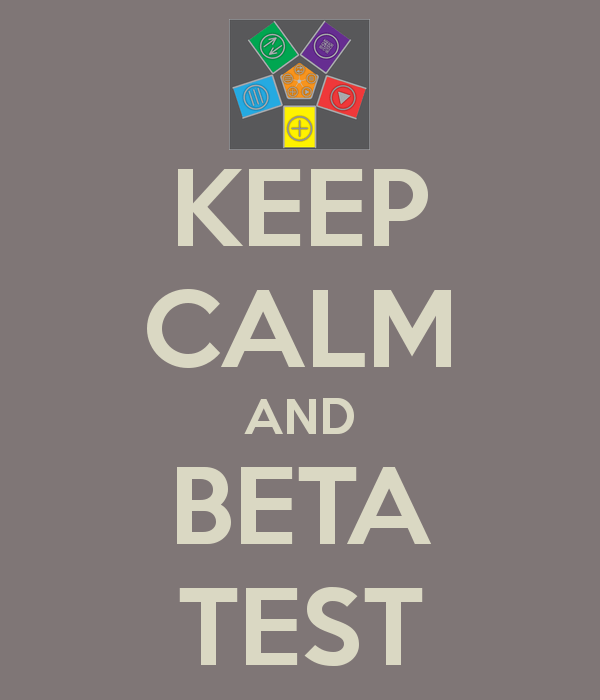 The beta testing will be conducted by about a dozen educators globally. The purpose of the beta testing is to identify potential issues and errors in the content, the MOOC, or the infrastructure that need to be ironed out before the full launch. We’ll be launching the MOOC at the AASL conference and Treasure Mountain this November. Our beta testers will be asked to work their way through the contents of the MOOC, and earn badges along the way. At the end of the testing period, they will help us launch the MOOC and will be mentors in the community. I started writing an email this morning to welcome in the beta testers, and then realized that this would be too much content for an email, so I am leaving the content here for all to read. I’m a big believer in open, and think that some of the ideas shared here will resonate with others. With that being said…the remainder of this post is an open letter to the community containing the history and motivation of this work. I wanted to thank you once again…and welcome you in to beta testing of the Online Research and Media Skills MOOC. My name is Ian O’Byrne and I am an Assistant Professor at the University of New Haven. My colleague is Greg McVerry, he is an Assistant Professor at Southern CT State University.We wanted to take a minute to introduce ourselves and the MOOC before beginning. We appreciate your time, and wanted to fully let you know about this work before getting involved. We developed the Online Research and Media Skills (ORMS) model about three or four years ago while working as doctoral researchers at UConn. We were also working with teachers regionally to help them authentically and effectively integrate technology into their classroom. One of the challenges (at least here in the US) is that the Common Core State Standards defines what could/should be happening in the classroom. Greg and I spent considerable time developing (and it is still developing) the ORMS model based on elements of the College and Career Readiness Skills in the CCSS. The model was developed and used in both of our dissertations, in research projects over the northeast, and in professional development opportunities with educators. We know the model works, it still needs tweaking, but it works. We wanted a chance to spread this work to more educators and see what they thought. Two things changed in my thinking about a year ago. The first was that I began working on the community class for the Mozilla Web Lit Standards. I believe these new web literacies will provide individuals with an opportunity to build the literacies we need as we move to online spaces. I also believe there are significant parallels to the three cornerstones of the ORMS model. The second thing that changed for me was that I was involved in the “Using Google as an LMS” Community on G+. I was intrigued by the way that we could use free online tools as a way to build online resources and environments for students. In working through and developing an open, educational resource, or class using free, online tools I also think this helps me provide an exemplar for educators as they think about a digital learning hub that they would like to create. The purpose of this MOOC is to spread the ORMS model for the purposes of helping educators and instructors develop and share ideas for the use of these new and digital literacies in classroom instruction. As you complete the requirements for each of the modules, you will earn a digital badge in the community. Once you earn all five badges, you will earn a meta-level badge and become a Mentor in the community. The goal is to make this a community, and allow all of us to take ownership of the materials and the environment. Once you become a Mentor you can then begin bringing other participants through and awarding badges as well. On a very simple level, this struck me as being very valuable for teachers interested in offering professional development for their school or district. Previously when I would deliver PD as a teacher for my district, I would need to be trained in a certain model, or compile my own materials. With the ORMS MOOC you can bring your teachers through the MOOC and award badges in any or all of the modules. Effectively you’re empowering your peers and building the expertise within your building…and that is a good thing. To get started, please visit the ORMS MOOC. You will need to join the Google Group, as well as the Google+ Community. You’ll need a Google Account for both of these…if you do not have one already. The Google Group is the repository for all shared work product and units that people share during the MOOC. This is one of the final elements necessary as you pledge for a badge. The purpose of this openly shared work product is to provide examples of what could/should be done within this model. Please feel free to use these units as guidance as you complete your own work. The Google+ Community is a support mechanism and a way to keep us all organized and supported along the learning process. Once you get signed in, please introduce yourself to the community in the appropriate thread. If you’re new to Google+ and are having a tough time figuring it out, please use this resource. Thanks again for joining us on this important initiative. Together we can collaborate to improve the lives and futures of youth globally. This is really interesting – what is your time frame? When are you expecting people to start and end? We’ll be beta testing over the next two months. Our plan is to give everyone two weeks to finish each module. With 5 modules this means that we’ll have this all wrapped up near the end of November. At that point we’ll be really launching it at the beginning of December. We’ll announce it at the AASL conference and LRA. The first real, open group will be in December. My hope is to have all of the beta testers become Mentors in the community. If you know of anyone…or have some students that would be interested, please send them along.